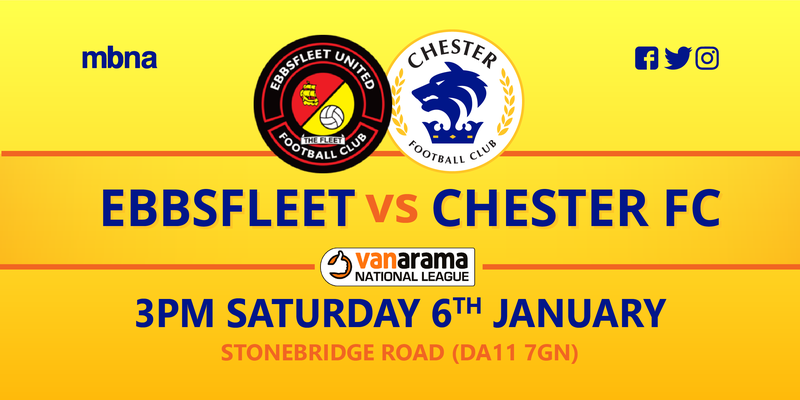 The Blues travel down to Kent this weekend to face Ebbsfleet United in the National League. The Fleet are somewhat ‘draw specialists’ in the league during this campaign. Daryl McMahon’s outfit have come away with one point on twelve occasions so far, and even the Blues only have ten to their name. Marcus Bignot’s men make the trip to Stonebridge Road on the back of their 1-1 draw with Guiseley on New Years Day, and will be looking to build on a much improved performance. Kingsley James fired the visitors into the lead after picking up a threaded ball from James Akintunde – but the drama was saved until stoppage time. Ashley Palmer poked the ball home in a goal mouth scramble to claim a share of the spoils in the dying embers of the encounter. Ebbsfleet suffered defeat to Bromley in front of the BT Sport cameras on Monday. Andy Drury and Sean Shields netted for the visitors, but Neil Smith’s side held on for a 4-2 victory. Fleet Boss McMahon saw Jack Powell fall victim to a sickness, and was substituted late on at Hayes Lane after seeming to struggle during the game. Bradley Bubb will be looking to make a return to the side, after two substitute appearances following an injury. Joining from then League Two side Dagenham and Redbridge in 2015, Shields has been ever present in the Fleet’s rise to the top tier of non-league football. Despite a few loan spells elsewhere in his three year spell, the 25-year old has proved a handful for many sides so far this season. Shields holds all the key attributes of a ‘tricky’ winger, and can run rings around opposing defences. Shields will definitely prove tough to beat should he start on Saturday, and will certainly be a player to keep an eye on. The Sat Nav Postcode is DA11 9GN. Can’t make the game? Follow us on Twitter @ChesterFC for full match updates OR listen to our live and FREE commentary on our dedicated Mixlr page.